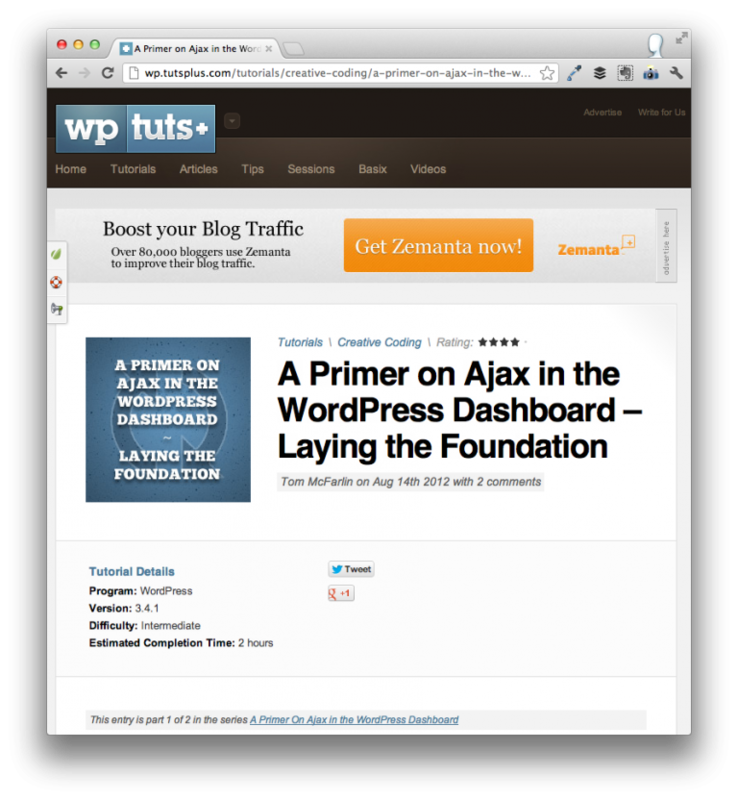 In my latest set of articles over at WPTuts+, I give a Primer on Ajax in the WordPress Dashboard. Throughout the series, I layout the steps needed to first introduce all of the elements needed to begin working with Ajax followed by the steps necessary to write up the elements to handle user input, send asynchronous responses, and then how to properly handle the response. All of this is done within the context of a plugin that is available on GitHub. I’m aimed to write the series in such a way that it assumes no prior knowledge of Ajax within WordPress, so be sure to check it out if this is new territory for you. Previous PostPrevious WordPress Pointers: What’s Required For Development?